Farm Bill Analysis: Is Hemp Legal Now? 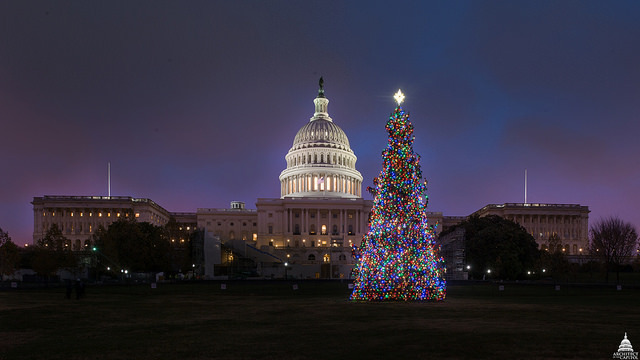 On December 20, President Trump signed the Agriculture Improvement Act of 2018 (the Farm Bill) into law, which included an important change to the way federal agencies regulate hemp farming and production. The Farm Bill essentially removes hemp-derived cannabidiol (CBD) from the Controlled Substances Act in states that choose to regulate it. It strips the Drug Enforcement Agency’s (DEA’s) authority from outlawing hemp and gives states the ability to regulate hemp markets on their own, with approval from the United States Department of Agriculture (USDA). This gives the USDA the authority to regulate hemp farming, providing for things like access to banks, insurance, grants, certifications and gets rid of the need for a pilot program, which was previously the case under the 2014 Farm Bill. It also defines hemp a little better, to include cannabinoids, derivatives and extracts. The Farm Bill signing opened the doors for hemp cultivation and production in the United States.What the FDA said in their statement is crucial information for those developing hemp-derived products. They recommend that companies use traditional pathways to get approval from the FDA to market their products, providing the Epidiolex example where the drug manufacturer used clinical studies to prove the drug’s efficacy. The FDA also notes that there are circumstances “in which certain cannabis-derived compounds might be permitted in a food or dietary supplement.” That means they are exploring opportunities for companies to develop, manufacture and market legal CBD products without going through the extensive drug approval process.States need to establish programs approved by the USDA and companies need to cooperate with the FDA, taking the necessary steps to get their products and marketing approved. In the food ingredients realm, they have already taken steps to approve hulled hemp seeds, hemp seed protein and hemp seed oil as generally recognized as safe (GRAS). 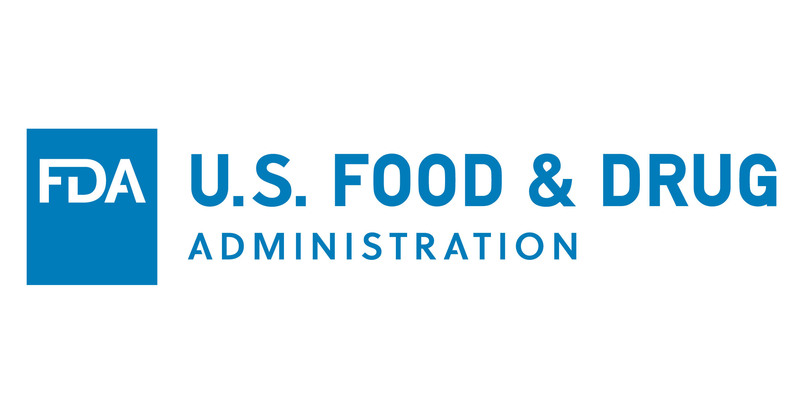 “Therefore, these products can be legally marketed in human foods for these uses without food additive approval, provided they comply with all other requirements and do not make disease treatment claims,” reads the FDA statement. The Farm Bill signing opened the doors for hemp cultivation and production in the United States. It allows farmers to access the same goods and services extended to other commodities farming, it makes conducting business easier across state lines, it will pave the way for more research into hemp as an effective medicine and helps to end the debate over hemp’s legality. But this doesn’t mean any business can just start producing and selling CBD products. States need to establish programs approved by the USDA and companies need to cooperate with the FDA, taking the necessary steps to get their products and marketing approved. In the coming months and years, we will see which states decide to develop hemp cultivation programs and how the proliferation of hemp-derived products will evolve under FDA regulatory oversight. While it has gotten decidedly less English-speaking press than other countries in Europe on the front edge of cannabis reform, Denmark’s pilot four-year cannabis program is moving along nicely. It is also, without all the fanfare and hullabaloo seen in other EU countries struggling with how to approach cannabis normalization, about to reach the end of its first year. The four year program was authorized to begin on January 1, 2018. Major Canadian cannabis companies have been establishing operations in the country since late last year. Spectrum (a division of Canopy Cannabis), jumped the shark early, as it did in Germany. On December 5, 2017, three weeks before the executive order went into effect, Spectrum announced a first of its kind Danish joint venture with a forty thousand square-meter grow facility. Others have followed since then. Licenses are required for every step of the process. In other words, producers must receive a license to legally cultivate cannabis for medical purposes. Those wishing to distribute must also have such products admitted to the formal list of medicines that can be distributed domestically. Manufacturers are also not allowed to distribute their product to any entity except pharmacies, hospitals and other manufacturers with a license to distribute. Exports are also tightly controlled. Any medication on the approved pilot list cannot be exported. Further, it is only legal to export to two countries from Denmark – namely Canada and Holland. Denmark is the first member of the EU to set up a trial program specifically for cannabis, although the Danish “experiment” looks in many ways like what will emerge in Germany. Unlike in Germany, however, the process is getting off to a smooth start. Germany, which was primed to do the same as of March last year, has struggled since then with establishing a domestic cultivation process. That said, distribution (particularly from outside the country) is already off to a flying start. The difference, however, is that distributors in Germany who have a license to distribute a restricted narcotic product, can distribute cannabis too, without additional licensing. See Aphria’s recent purchase of CC Pharma with distribution to 13,000 pharmacies in Germany. Imports will actually be the name of the game here for some time to come as the cultivation bid is widely accepted as being too small to even meet existing demand. This will be the reality going forward as the government is required to purchase all cannabis bought by tender bid. The other place to watch right now is Greece. The country has also moved quickly to establish a cultivation program in the last year. The difference between Denmark and Greece however, is that the export game (along with medical tourism) are clearly on the agenda. Regardless, the success of the Danish “experiment” is one that other European countries could well look to as other countries proceed down the road to cannabis normalization and legalization, even if at first, and for probably the next four to five years, as a medical product. Editor’s note: This article should serve as a foundation of knowledge for yeast and mold in cannabis. 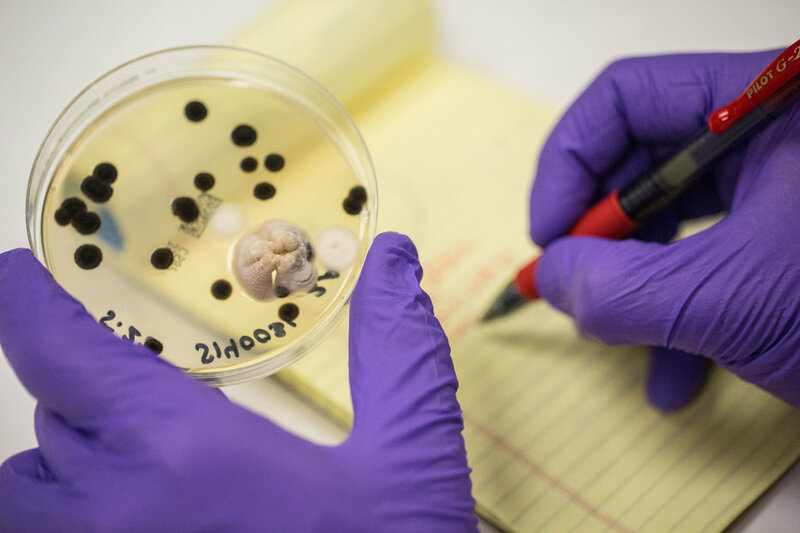 Beginning in January 2018, we will publish a series of articles focused entirely on yeast and mold, discussing topics such as TYMC testing, preventing yeast and mold in cultivation and treatment methods to reduce yeast and mold. Cannabis stakeholders, including cultivators, extractors, brokers, distributors and consumers, have been active in the shadows for decades. With the legalization of recreational adult use in several states, and more on the way, safety of the distributed product is one of the main concerns for regulators and the public. Currently, Colorado1, Nevada and Canada2 require total yeast and mold count (TYMC) compliance testing to evaluate whether or not cannabis is safe for human consumption. As the cannabis industry matures, it is likely that TYMC or other stringent testing for yeast and mold will be adopted in the increasingly regulated medical and recreational markets. 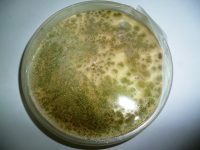 The goal of this article is to provide general information on yeast and mold, and to explain why TYMC is an important indicator in determining cannabis safety. 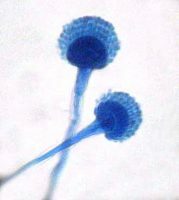 Yeast and mold are members of the fungi family. Fungus, widespread in nature, can be found in the air, water, soil, vegetation and in decaying matter. The types of fungus found in different geographic regions vary based upon humidity, soil and other environmental conditions. In general, fungi can grow in a wide range of pH environments and temperatures, and can survive in harsh conditions that bacteria cannot. They are not able to produce their own food like plants, and survive by breaking down material from their surroundings into nutrients. Mold cannot thrive in an environment with limited oxygen, while yeast is able to grow with or without oxygen. Most molds, if grown for a long enough period, can be detected visually, while yeast growth is usually detected by off-flavor and fermentation. Due to their versatility, it is rare to find a place or surface that is naturally free of fungi or their spores. Damp conditions, poor air quality and darker areas are inviting environments for yeast and mold growth. Cannabis plants are grown in both indoor and outdoor conditions. Plants grown outdoors are exposed to wider ranges and larger populations of fungal species compared to indoor plants. However, factors such as improper watering, the type of soil and fertilizer and poor air circulation can all increase the chance of mold growth in indoor environments. Moreover, secondary contamination is a prevalent risk from human handling during harvest and trimming for both indoor and outdoor-grown cannabis. If humidity and temperature levels of drying and curing rooms are not carefully controlled, the final product could also easily develop fungi or their growth by-product. TYMC, or total yeast and mold count, is the number of colony forming units present per gram of product (CFU/g). A colony forming unit is the scientific means of counting and reporting the population of live bacteria or yeast and mold in a product. To determine the count, the cannabis sample is plated on a petri dish which is then incubated at a specific temperature for three to five days. During this time, the yeast and mold present will grow and reproduce. Each colony, which represents an individual or a group of yeast and mold, produces one spot on the petri dish. Each spot is considered one colony forming unit. TYMC is an indicator of the overall cleanliness of the product’s life cycle: growing environment, processing conditions, material handling and storage facilities. Mold by itself is not considered “bad,” but having a high mold count, as measured by TYMC, is alarming and could be detrimental to both consumers and cultivators. The vast majority of mold and yeast present in the environment are indeed harmless, and even useful to humans. Some fungi are used commercially in production of fermented food, industrial alcohol, biodegradation of waste material and the production of antibiotics and enzymes, such as penicillin and proteases. However, certain fungi cause food spoilage and the production of mycotoxin, a fungal growth by-product that is toxic to humans and animals. Humans absorb mycotoxins through inhalation, skin contact and ingestion. Unfortunately, mycotoxins are very stable and withstand both freezing and cooking temperatures. One way to reduce mycotoxin levels in a product is to have a low TYMC. For this reason, regulations exist to limit the allowable TYMC counts for purposes of protecting consumer safety. At the time of writing this article, the acceptable limit for TYMC in cannabis plant material in Colorado, Nevada and Canada is ≤10,000 CFU/g. Washington state requires a mycotoxin test.12 California is looking into testing for specific Aspergillus species as a part of their requirement. As the cannabis industry continues to grow and advance, it is likely that additional states will adopt some form of TYMC testing into their regulatory testing requirements. Kagen SL, Kurup VP, Sohnle PG, Fink JN. 1983. Marijuana smoking and fungal sensitization. Journal of Allergy & Clinical Immunology. 71(4): 389-393. Cescon DW, Page AV, Richardson S, Moore MJ, Boerner S, Gold WL. 2008. Invasive pulmonary Aspergillosis associated with marijuana use in a man with colorectal cancer. Diagnosis in Oncology. 26(13): 2214-2215. Szyper-Kravits M, Lang R, Manor Y, Lahav M. 2001 Early invasive pulmonary aspergillosis in a leukemia patient linked to aspergillus contaminated marijuana smoking. Leukemia Lymphoma 42(6): 1433 – 1437. Verweii PE, Kerremans JJ, Voss A, F.G. Meis M. 2000. Fungal contamination of Tobacco and Marijuana. JAMA 2000 284(22): 2875. Ruchlemer R, Amit-Kohn M, Raveh D, Hanus L. 2015. Inhaled medicinal cannabis and the immunocompromised patient. Support Care Cancer. 23(3):819-822. McPartland JM, Pruitt PL. 1997. Medical Marijuana and its use by the immunocompromised. Alternative Therapies in Health and Medicine. 3 (3): 39-45. Hamadeh R, Ardehali A, Locksley RM, York MK. 1983. Fatal aspergillosis associated with smoking contaminated marijuana, in a marrow transplant recipient. Chest. 94(2): 432-433.